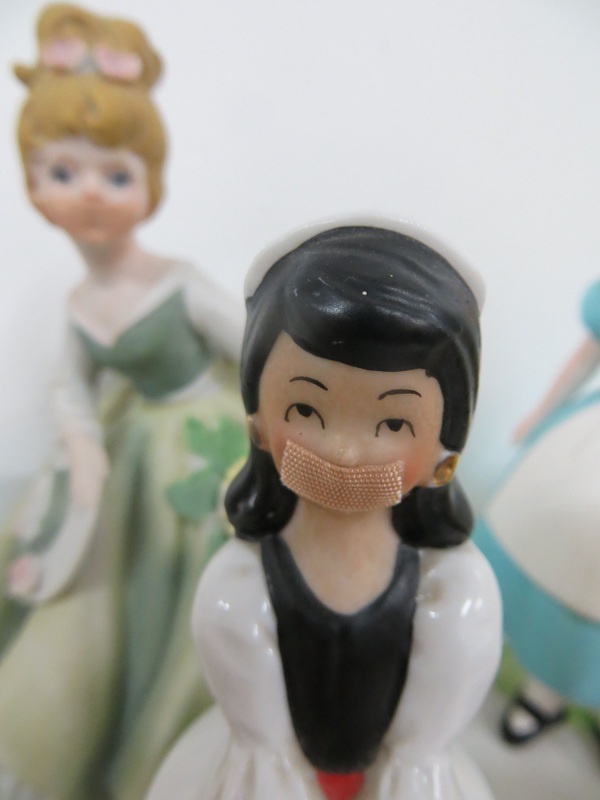 Given that I’ve had so much contact with nurses recently and that continuing problems with my right ear have made me feel completely frazzled at times, it felt very apt that these two pieces were out in the world. Thanks to Harry Pye & everyone at A-Side B-Side gallery & Sara Dziadik & the Shape Arts collective for their hard work. Being given the opportunity to show my work is especially appreciated during a period of ill-health. 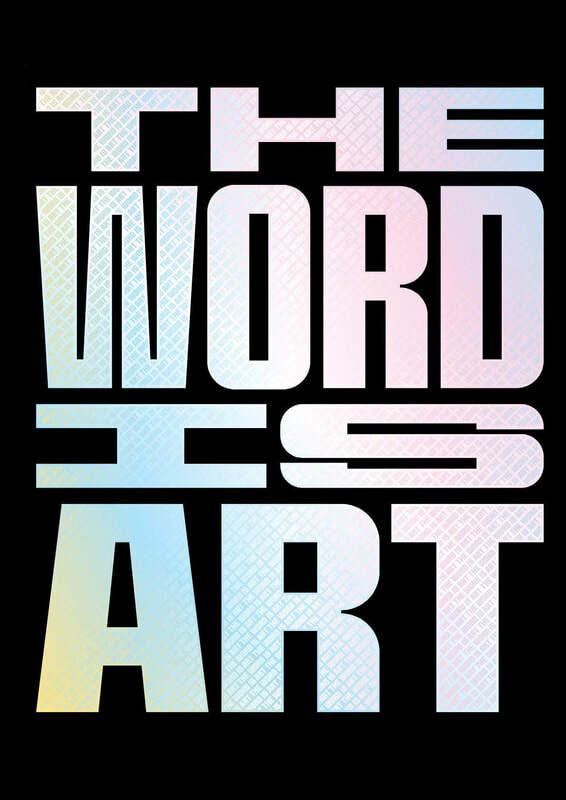 'The Word Is Art' by Michael Petry has recently been published by Thames & Hudson. 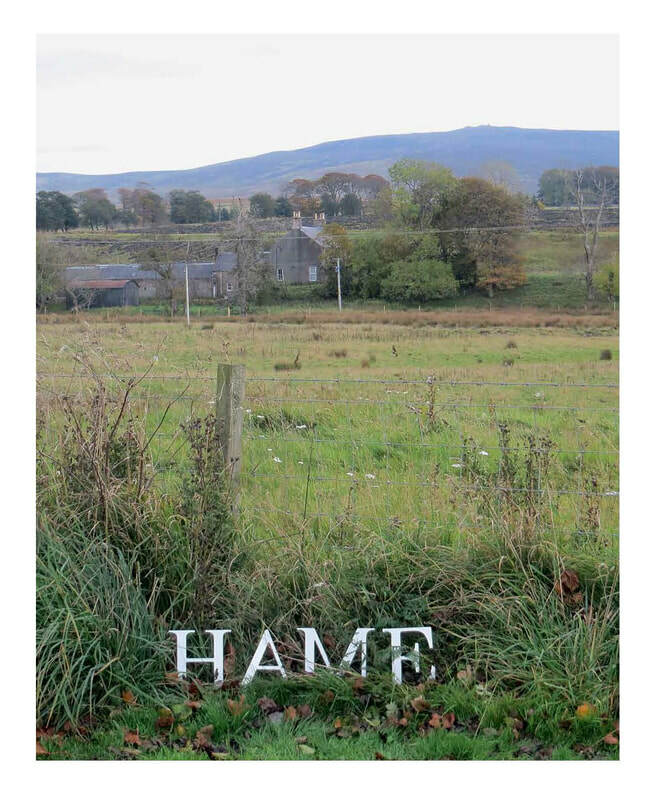 I'm delighted to have one of the images from my 'HAME' series included. It was a tribute to my late father, in response to the 'Homecoming Scotland' project. Thanks to everyone involved in creating such a brilliant book. I'm very proud to be a part of it. 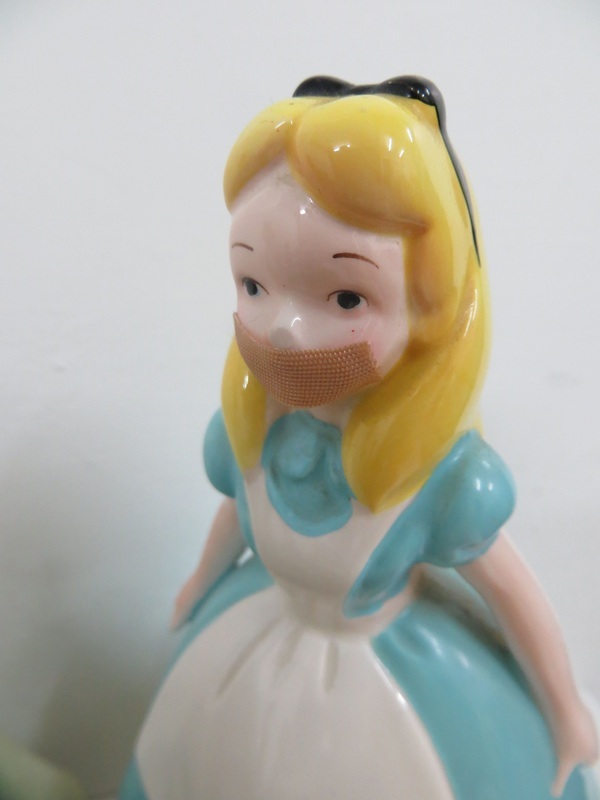 ‘New Narratives’ is the latest group show at hARTslane, New Cross, London. 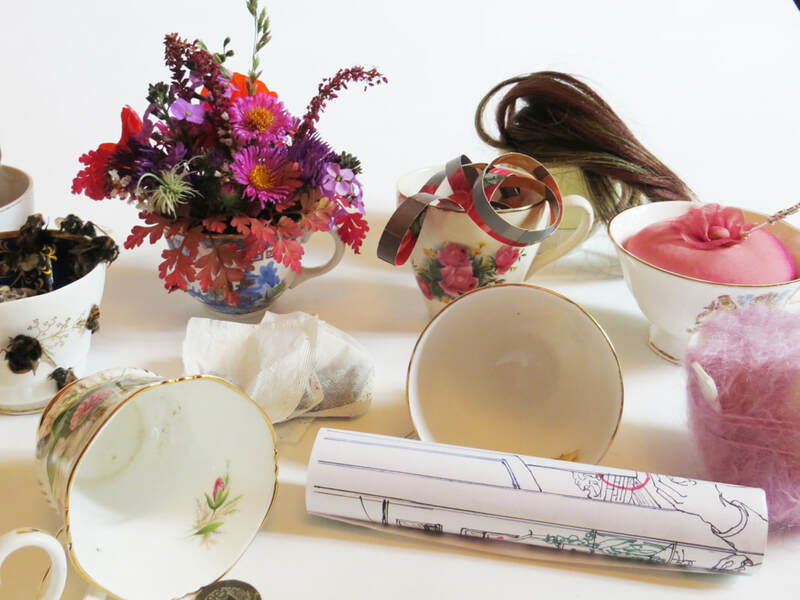 The exhibition is part of the hARTslane collective’s ‘Dear London’ project. 'No Place Like Home' is my contribution to the show. 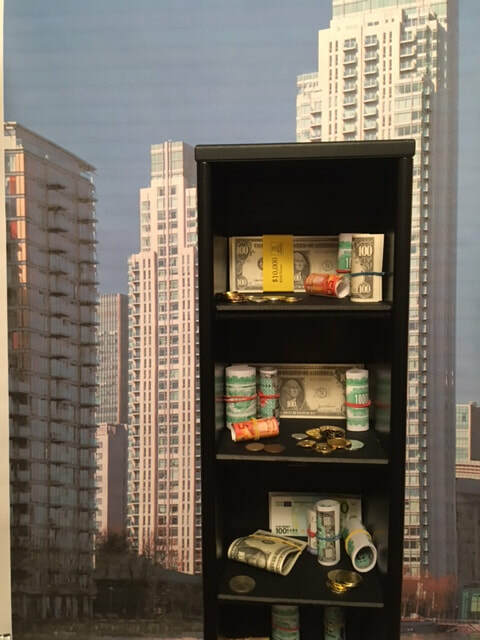 A tower block, uninhabited and stuffed full of fake money, is representative of the many that have started to saturate our local area. Sterile, soulless, invariably left empty, seen by their absentee owners as nothing more than investment opportunities to increase their wealth. In order to put back some of the warmth and humanity that existed before the bulldozers waded in, I’m asking people to take away the money and bring back something in exchange; make this tower block a real home, strip it of its financial assets and transform it into an object of beauty, with heart and soul at its core; fill it with love, warmth, messages of hope, photographs, flowers - anything that represents what you think makes a home a real home, rather than yet another investment unit. 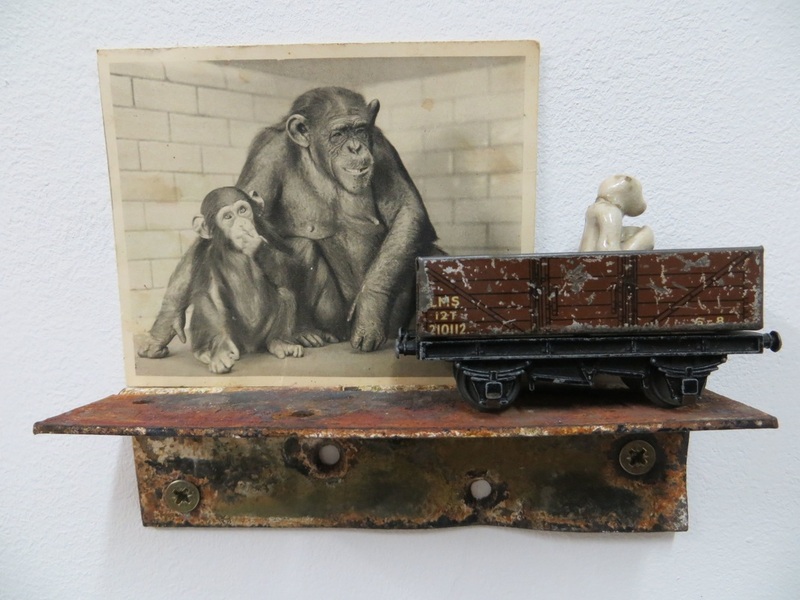 You can make your exchange on Wednesday March 21st when there will be an artists talk at hARTslane from 6-9pm. I was really pleased to have three pieces of my work selected and shortlisted by artist Paula MacArthur and guest judge Victoria Howarth for the Winter Salon Exhibition at Rye Creative Centre at the end of 2017. 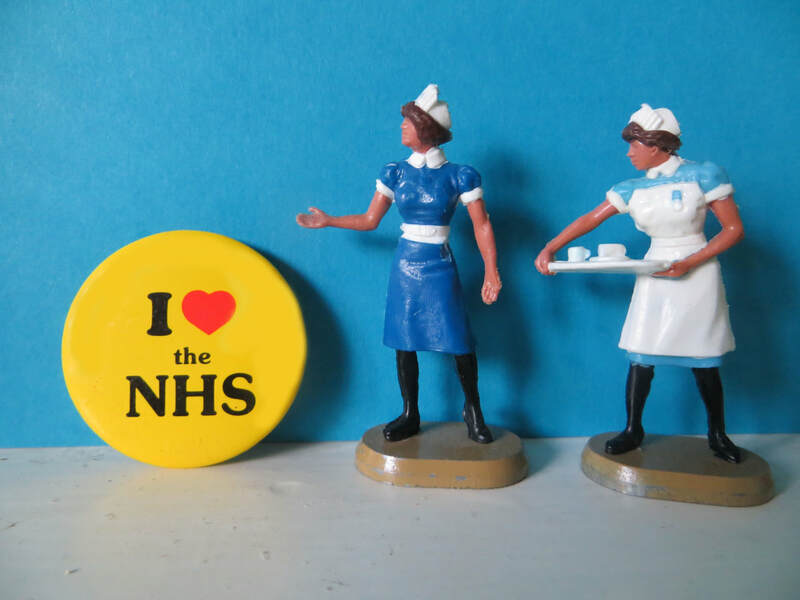 On June 8th, Theresa May hoped to secure a mandate that would have enabled her to continue with the Conservative Party's programme of cuts - to our National Health Service, welfare, education and other public sector services. In the event, her plans were thwarted when large numbers of people turned out to vote for a very different vision of society, denying May the majority she needed to press ahead with her austerity measures. ​​Over the past two years, cuts amounting to billions of pounds have seen many people deprived of the basic necessities of life. Increased austerity has meant the poorest and most vulnerable in society have been penalised while the very richest in society - including those whose mistakes were responsible for the financial crash - have continued to increase their wealth. 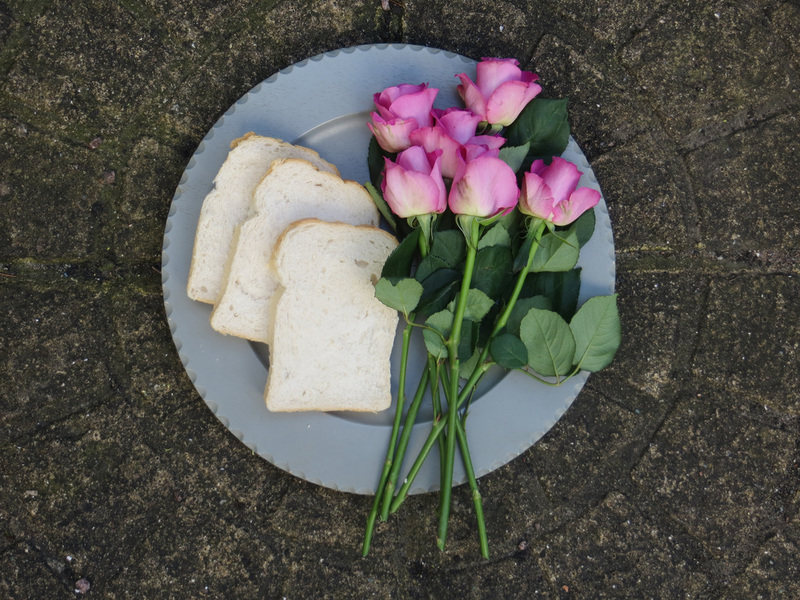 Hopefully, June 8th will prove to be a turning point in the fight against austerity - and in the future everyone will be able to enjoy their fair share of bread and roses. My film ‘I Always Wanted To Be …’ is now complete and the blog, which I started in August last year (2016), concluded. ‘Keeping It Moving’ (published on the a-n artists blog website) was created specifically to record the process of making this short film. Grateful thanks to film maker Henrietta Thomas and to a-n The Artist Information Company for funding the project via a professional development bursary. I have recently donated Bad Head Day winner of the Shape Open 2015-2016 to the Shape Collection. Shape Arts have also recently added my profile to their list of Shape Artists. 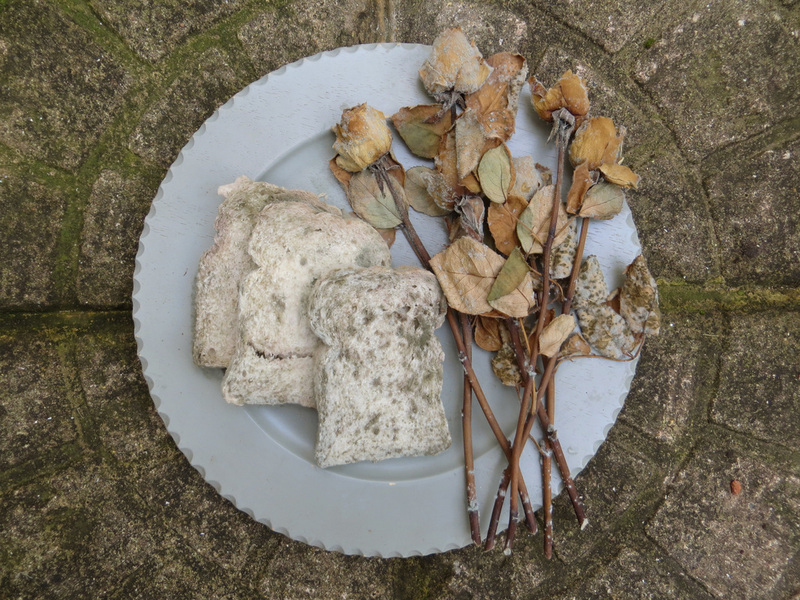 I've recently started a new blog on the a-n website. It’s called ‘Keeping It Moving’ and will document the process of making a short film. 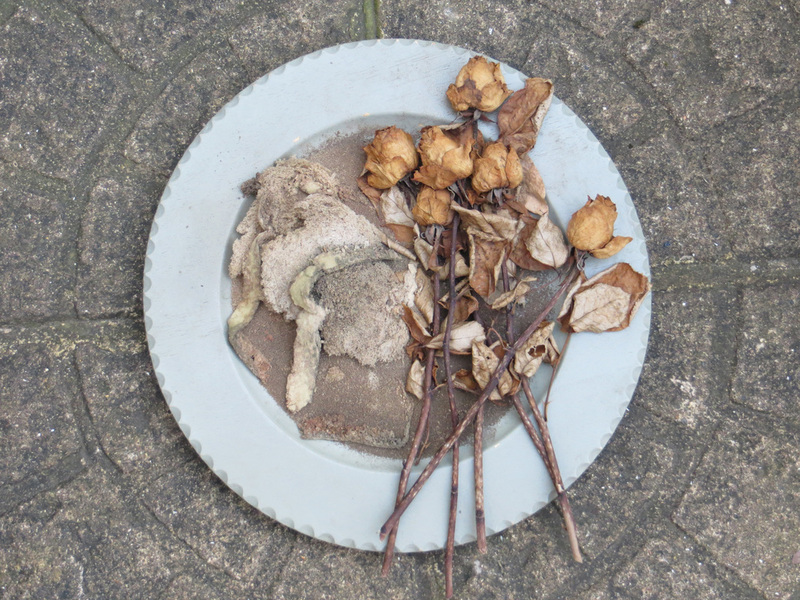 I’ll be working with film maker Henrietta Thomas, drawing on her expertise, and hopefully learning some new skills! The idea for the film is inspired by my collection of vintage music boxes and will focus on the subject of ballet and dance. 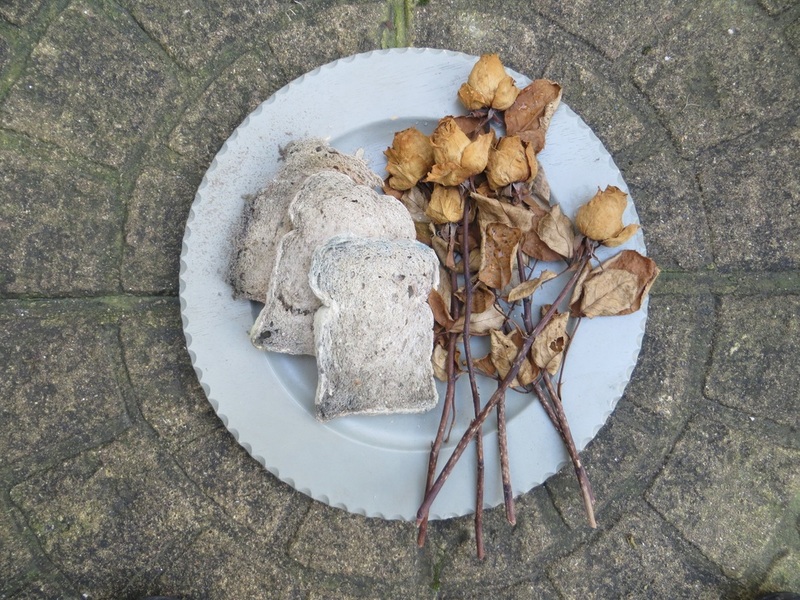 I will be recording the process in this blog as things unfold - the developing dialogue and creative decision making between Henrietta and myself. This project is supported by a professional development bursary from a-n The Artist Information Company. I’m very grateful to them for the opportunity. 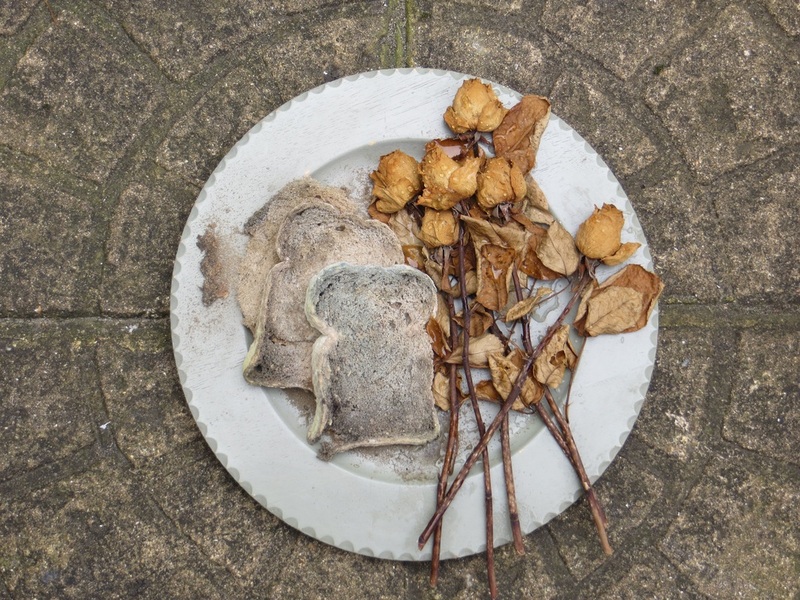 In response to an open call from the Hartslane gallery for photography which celebrated the New Cross Gate area, photographer John McCormick and I submitted 'Creps.' We're very pleased that it was selected as one of the winning entries. New Cross Gate has areas of real vibrancy and energy and its mixed diverse community gives it the buzz it's renowned for. It's the people who live here and pass through that make the area what it is. The huge Goldsmith's college student population has historically encouraged live music, comedy gigs and other forms of entertainment in the area, maintaining a sense of vitality and excitement in the local bars and restaurants. There is undoubtedly, a New Cross Gate 'scene' - established and historical and hopefully, impenetrable in terms of losing the area's unique character. It's a double-edged sword; 'progress' has its merits but it can also have the potential to destroy communities. It's indicative of what's happening in so many areas in London and yet, like its neighbouring Deptford, there's a sense that nothing, but nothing will ever truly destroy the firmly established local communities of SE14. May 2016. One year on, and the rot has well and truly set in. 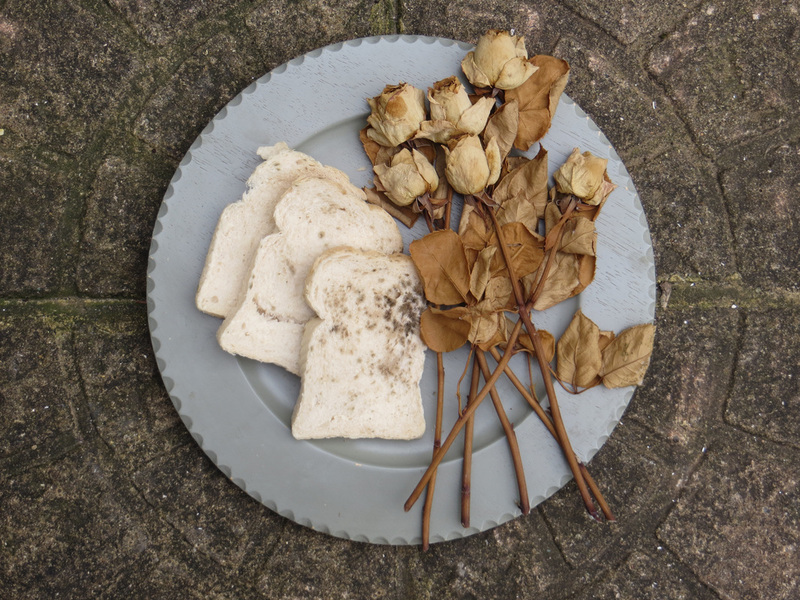 Bread and Roses was created in response to the election result of May, 2015 and the return of a Tory government. Welfare cuts that will amount to billions of pounds have already seen many people deprived of the basic necessities of life. Increased austerity has meant the poorest and most vulnerable in society have been penalised and carried the burden for the mistakes of those who were responsible for the financial crash. 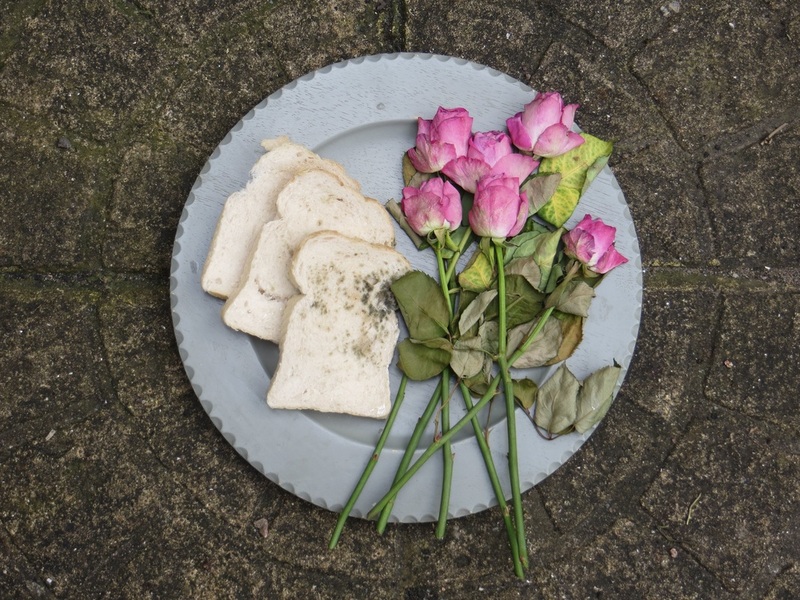 Bread and Roses takes its title from a speech by the American feminist and socialist Rose Schneiderman who declared 'the worker must have bread, but she must have roses, too.' Thanks to the imposed cuts of the past year, many people have been forced to go without either, while the very richest in society have continued to increase their wealth. 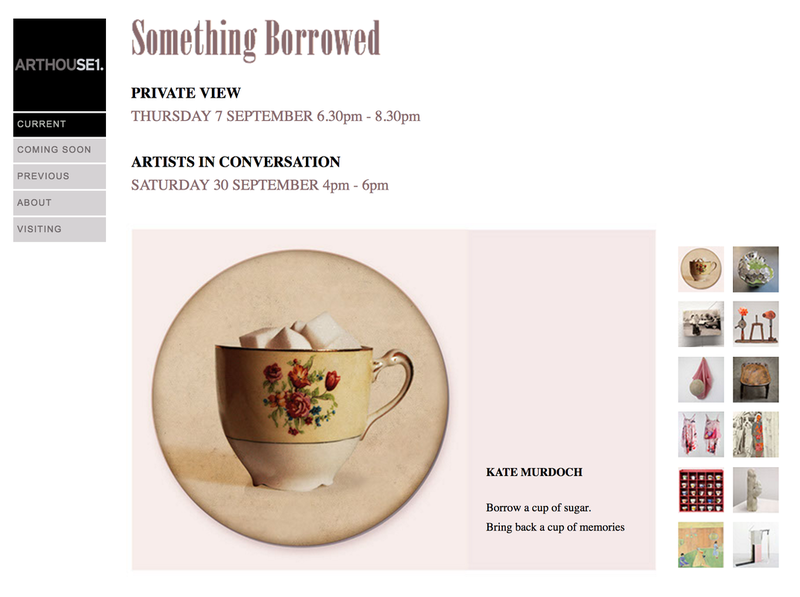 Really pleased to have two pieces of my work included in the group show 'Home Time' at Transition Gallery, Hackney. 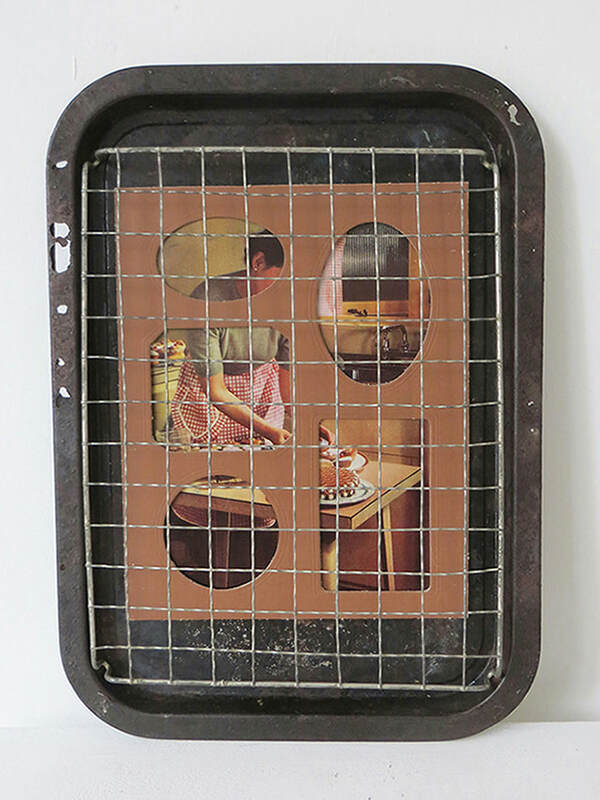 'Every Mother's Son' and 'Wrench' will be shown alongside work by artists Alex Michon, Alex Pearl and Corinna Spencer, who has organised the show. 'Bad Head Day' was chosen for the Shape Open 2016 prize. I'm particularly pleased it was selected by Shape, as it's an organisation whose work I've always respected and felt very positive about. They supported many of the students I worked with when I was a disability advisor in HE. 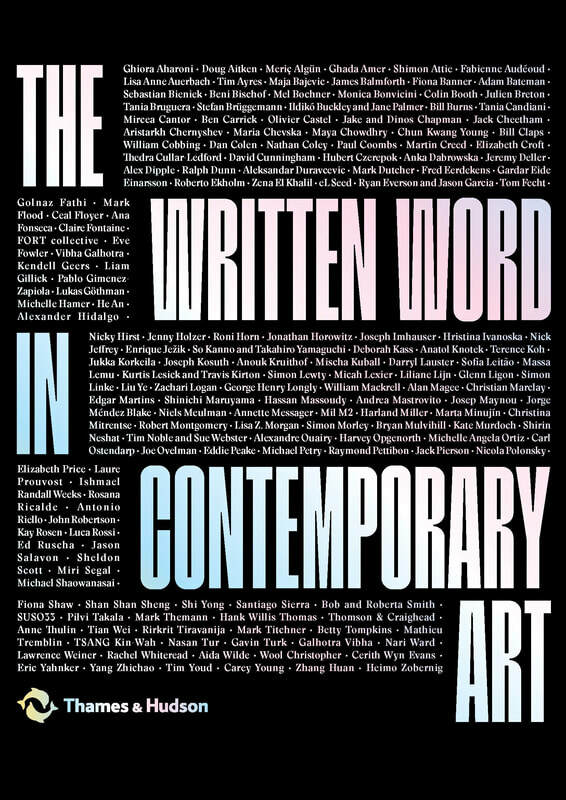 So pleased to have my Here Today work shown as part of the For What It's Worth group show, an exhibition exploring how artwork is priced and valued. It's at the South Square Gallery, Thornton, Bradford. Other artists participating are Amelia Crouch, Sarah Harris, William Gall, Luke Drozd, Jean McEwan, Beth Rose, Giuseppe Lambertino and Mick Welbourn. The show is on until February 28th. There is a special event night on Friday February 5th from 7-9 pm. Six months ago today, we awoke to the news that a Tory government had been elected. The result meant another five years of austerity, with the poorest and most vulnerable in society being expected to bear the burden for the mistakes of those who were responsible for the financial crash. The push to impose twelve billion pounds of welfare cuts has already led to many people being deprived of the basic necessities of life. 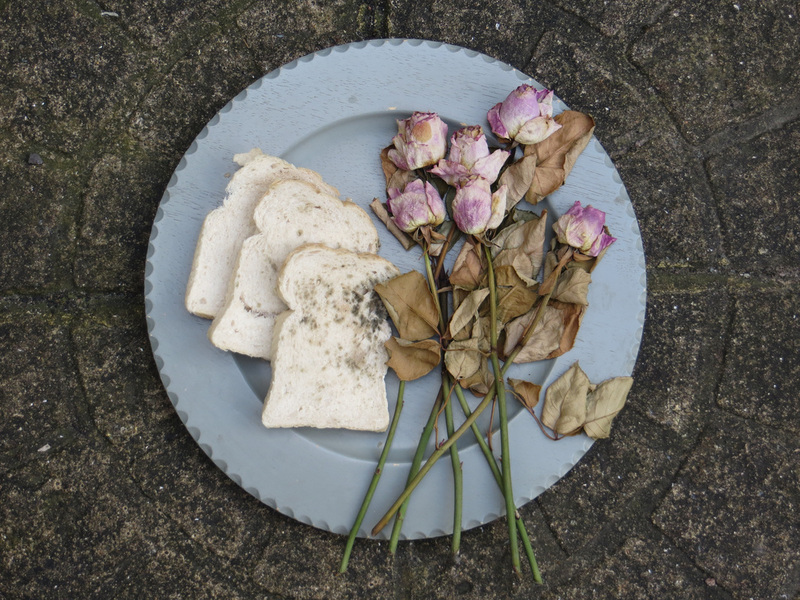 Bread and Roses was created in response to the election of May 2015, to document the consequences of neglect. 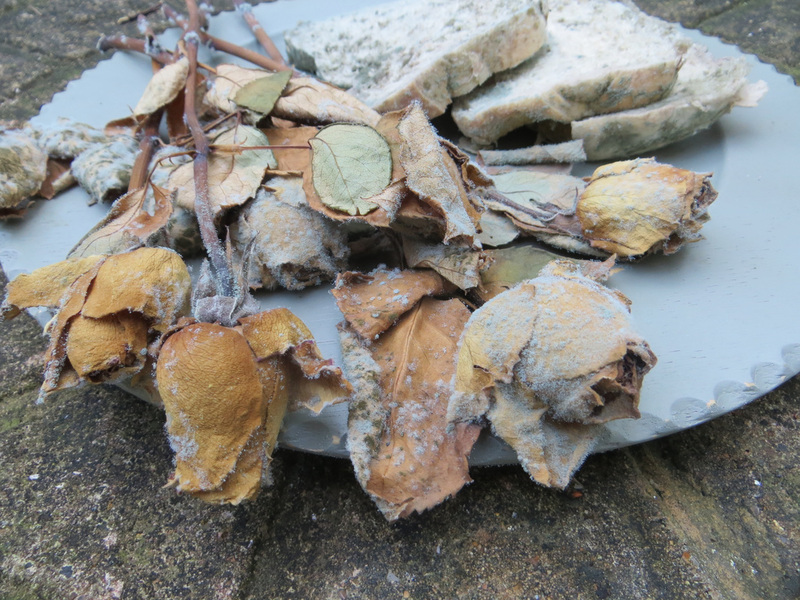 Six months on, and the signs of decay are very clear. Cuts to tax credits will condemn millions of hard working people to poverty, while cuts to legal aid will deny them access to justice and basic human rights. Wherever you look, it seems that the material and spiritual things we need to sustain us as a society are being stripped away; it's a sad state of affairs. Here's Joan Baez singing the song that inspired this project. A celebration of artist Harry Pye's 42nd birthday. 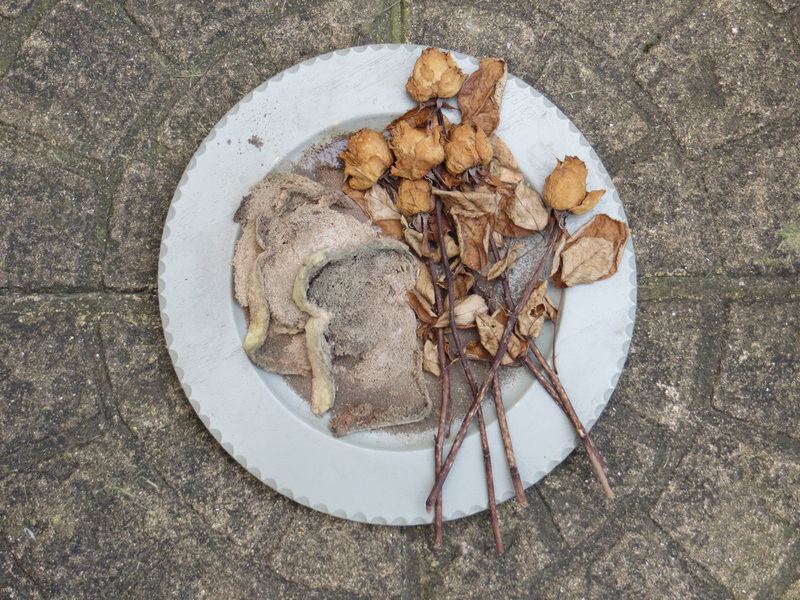 Harry Pye and I have selected 42 objects of affection, which will be shown as part of Life of Pye: Harry's 42 Collaborations launching at the Angus Hughes Gallery on Wednesday August 5th 2015. 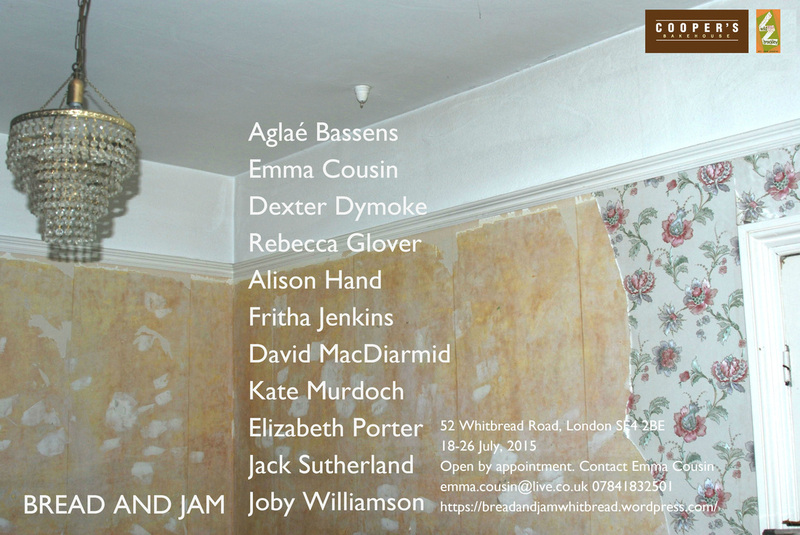 The inhabitants of 52 Whitbread Road are pleased to announce Bread and Jam, a simple repast and yet a unique exhibition of work by 11 contemporary artists created and exhibited in a gutted and soon to be refurbished house in a typical Victorian terraced street in Brockley. 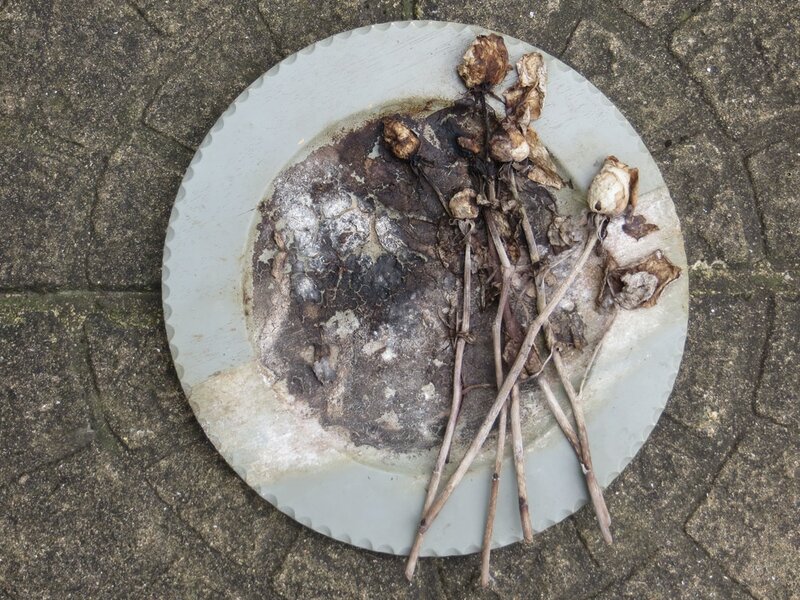 Each invited artist will be given free rein over their own room to make new and site-specific work in response to the dilapidated and austere surroundings. This is a rare opportunity for artists to experiment and play in an unusual setting without constraints. Generously supported by Cooper’s Bakehouse and Wild Brockley. 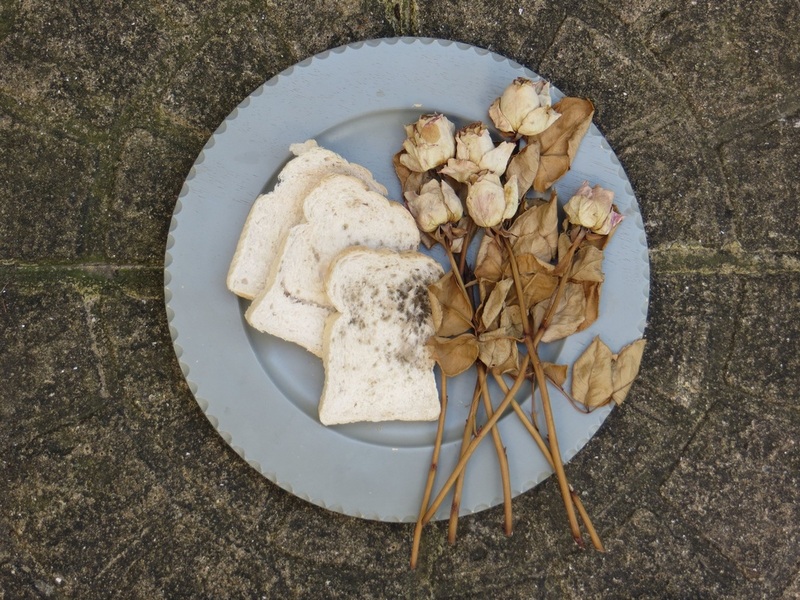 Bread and Roses is an online piece created in response to the 2015 election result. The return of a Tory government will see another five years of increased austerity, with the poorest and most vulnerable in society being expected to bear the burden for the mistakes of those who were responsible for the financial crash. 12 billion pounds of welfare cuts will see many people deprived of the basic necessities of life. 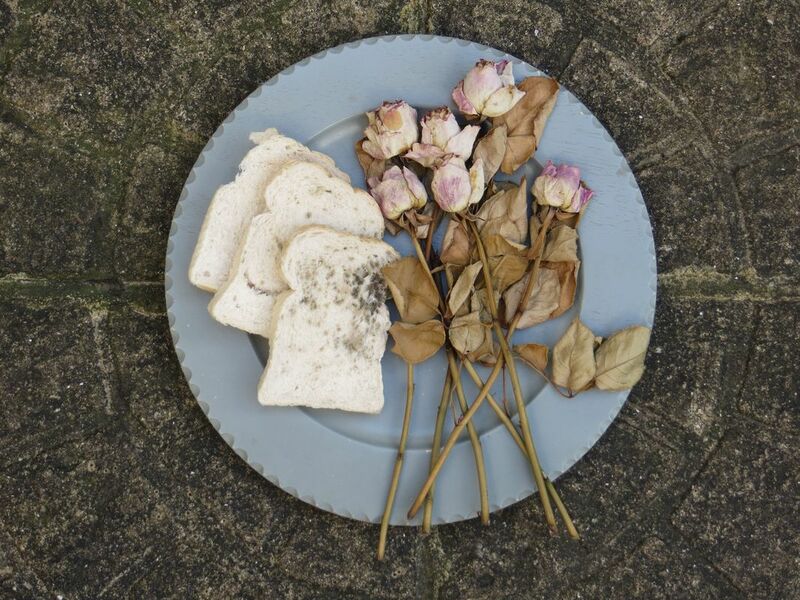 Bread and Roses takes its title from a speech by the American feminist and socialist Rose Schneiderman who declared 'the worker must have bread, but she must have roses, too.' Thanks to the cuts ahead, so many people will be forced to go without either, while the very richest in society continue to increase their wealth. 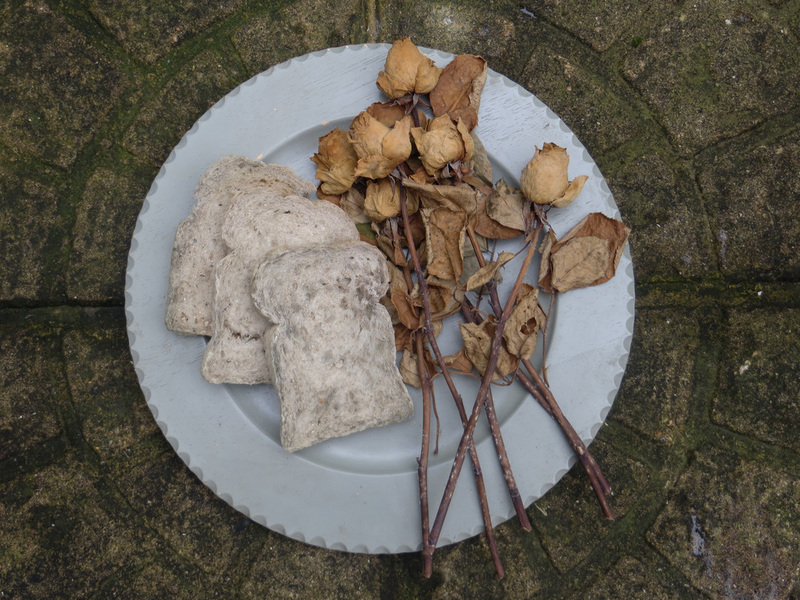 As I record the decaying condition of Bread and Roses in the weeks and months ahead, it will act as a visual reminder of the consequences of neglect. 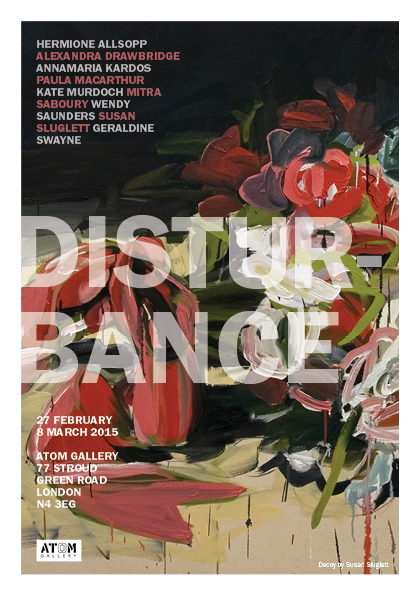 ‘Disturbance’ is an all-female exhibition chosen to run up to International Women’s Day on Sunday 8th March. 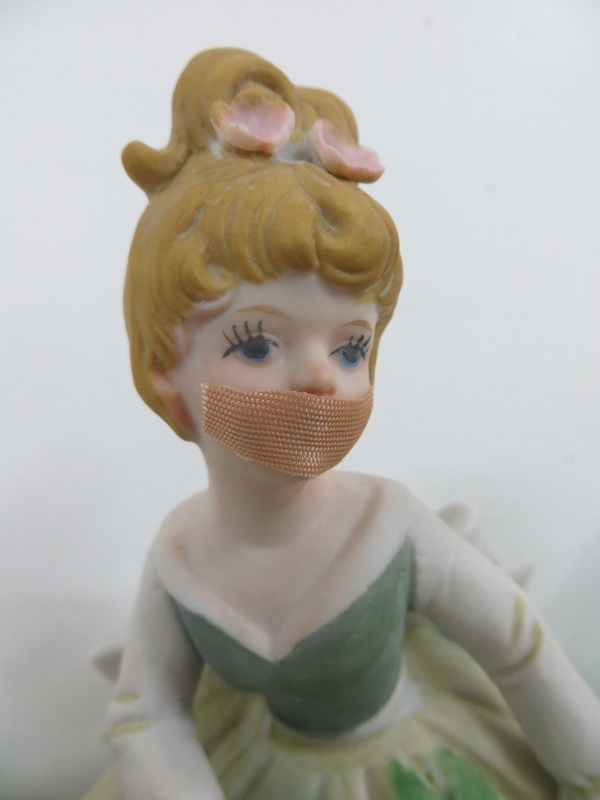 ‘Disturbance’ draws together work from nine artists. 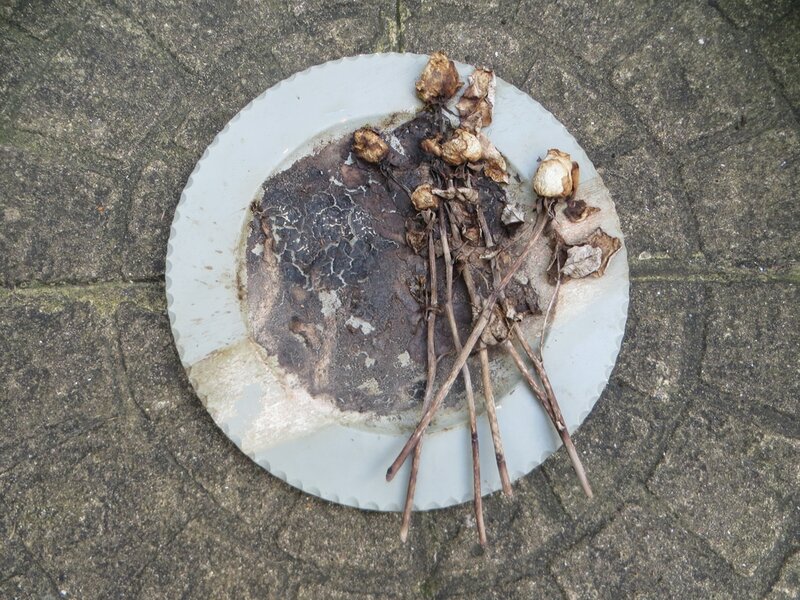 Using different media: sculpture, video, photography, installation, painting, text and performance; the artists take conventional objects or images and disrupt them. Though not necessarily driven by a feminist agenda, all the work is underpinned by a feminine perspective. Painter and curator Paula MacArthur has carefully selected this group of artists both for their alluring and unsettling imagery; and to convey the disturbance thrown up by the complex negotiations facing artists engaged with female identity today. 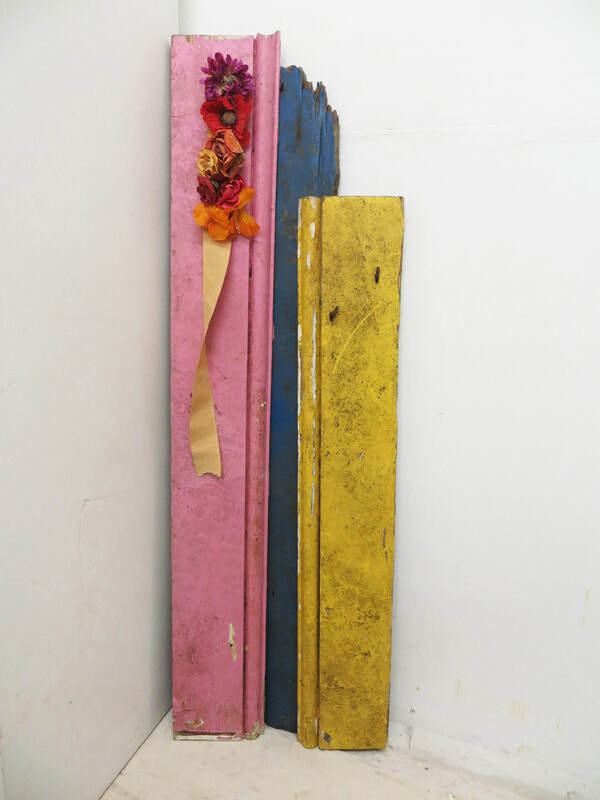 ‘Disturbance’ ranges from painter Susan Sluglett’s lushly painted floral bouquets which have been trashed and trampled, and Hermione Allsopp’s ‘re-made’ sculptures which push at the boundaries of attraction/ repulsion and ideas of taste, to Mitra Saboury’s surprising and sometimes visceral films. 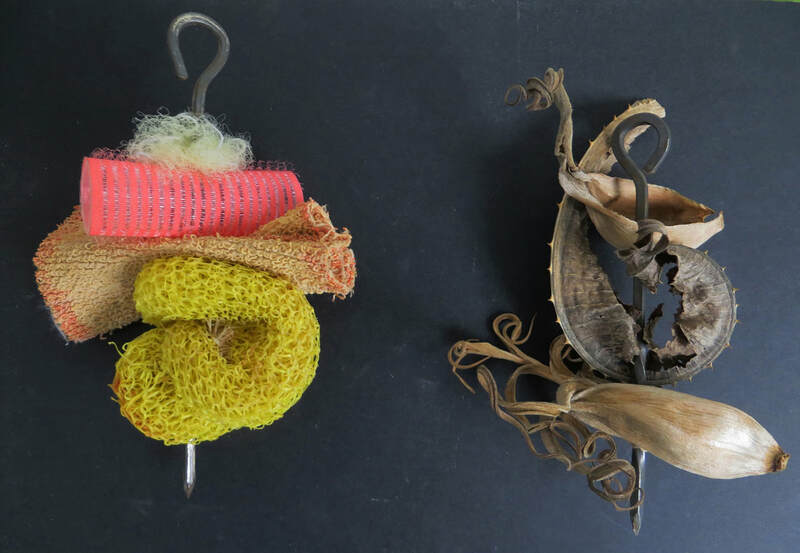 The exhibition showcases high-quality work by contemporary women artists, not espousing a particular feminist line but working within their own practices creating art which moves from the subtly subversive to the overtly challenging. There is humour alongside serious questioning of norms - all combining to provide a feast of visual excitement. 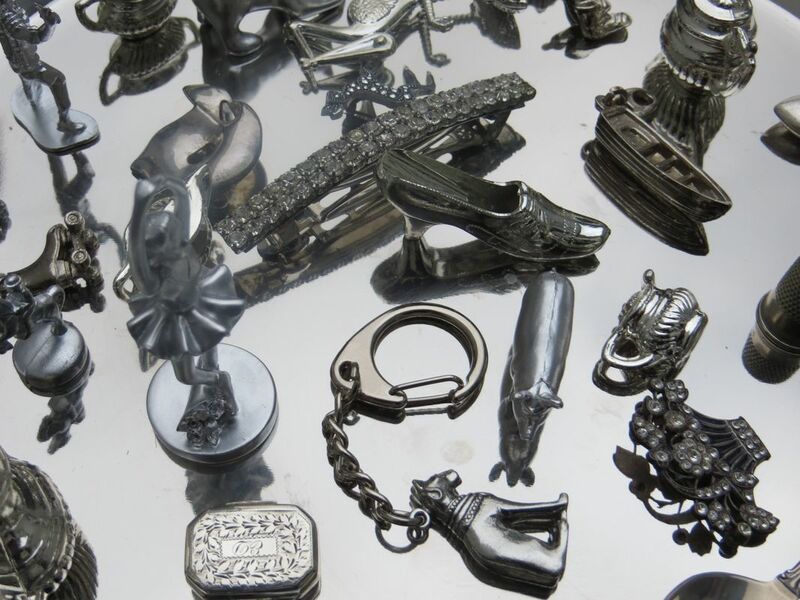 Curated and organised by Paula MacArthur & Wendy Saunders.